I believe many of you aware about great Eric Brewer theorem which says that any net­worked shared-data system can have only two of three desirable properties: Consistency or high Availability or tolerance to network Partitions (i.e. this property means that network may loose any packet/message ) – this theorem usually called CAP-theorem. This theorem is quite important (or even very fundamental) for many distributed workloads like computational and data grids and “2 of 3” principle is basis for many architectural decisions in cloud world. Below I combine couple of great links around that topic which surely may shred some light on that principle as well as give you more insights how that basic rule is changed nowadays . 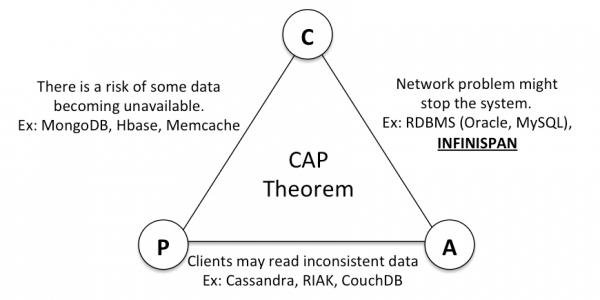 And yes, by the way CAP theorem is key thing for most of NoSQL or any other data distributed solutions – below you might good reading about that topic, including some new views on that topic. Posted by Alexey Bokov on October 26, 2015 at 12:09 pm under compute grid. Posted by Alexey Bokov on July 13, 2011 at 4:43 pm under compute grid. Guys from EC2 announced micro instances – it costs 2 (two) cents per hour for linux and now it’s will costs less than traditional dedicated hosting with root access – monthly payment for EC2 micro instance will be about 15 USD, and price for root/linux on dedicated hosting will be about 30 USD/month. It’s really good news – you can have 100 boxes cluster just for two usd per hour! Bad thing is that micro instances don’t have their own disk space – EBS only, looks like this best ever use case for this type of instances will be highly-distributed computational grid with all data stored in RAM. And don’t forget that EBS will costs you some money – $0.10 per allocated GB per month Amazon EBS also charges $0.10 per 1 million I/O requests you make to your volume . Fredrick Poller’s already check out micro instances performance by sysbench : Amazon EC2 Micro instance, how fast is it?. Posted by Alexey Bokov on September 10, 2010 at 3:41 pm under compute grid, ec2. 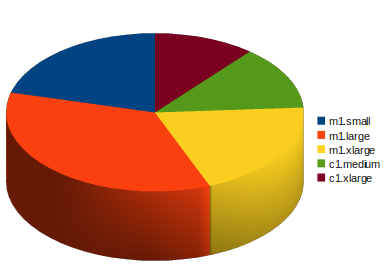 Rumor Mill: Google EC2 Competitor Coming in 2010? Posted by Alexey Bokov on August 18, 2010 at 2:59 pm under compute grid, useful links. Posted by Alexey Bokov on June 11, 2010 at 1:09 pm under compute grid, ec2, internet, project managment. Posted by Alexey Bokov on October 28, 2009 at 3:11 pm under compute grid, ec2, linux. Posted by Alexey Bokov on August 18, 2009 at 5:47 pm under administration, compute grid, internet, useful links. Posted by Alexey Bokov on August 18, 2009 at 5:06 pm under compute grid, internet. 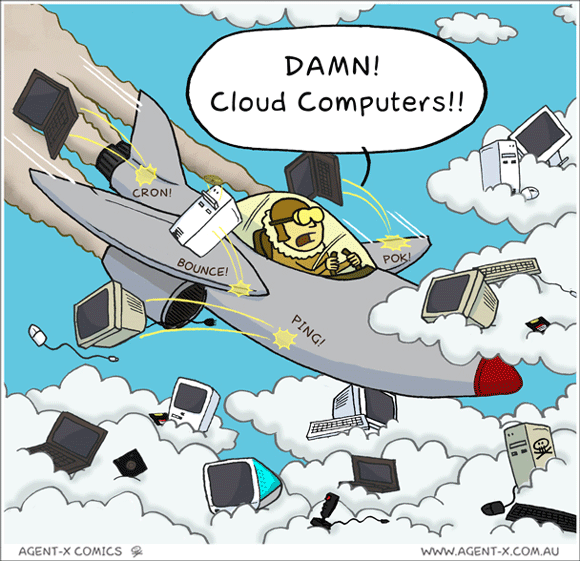 If a recent Evans Data study is any indication, private cloud deployments could rise sharply over the next year. Posted by Alexey Bokov on August 7, 2009 at 4:06 pm under compute grid, internet, useful links. Posted by Alexey Bokov on June 22, 2009 at 9:09 pm under compute grid, useful links. Posted by Alexey Bokov on May 26, 2009 at 4:38 pm under compute grid. Also I use hostname ec2-RRR-TTT-ZZZ-YYY ( external_short_name ) to set instance hostname – this names I use as hostnames when I configure SGE. Posted by Alexey Bokov on April 7, 2009 at 9:54 pm under administration, compute grid, ec2. Sun Grid Engine – how to send job onto specific hosts ? Another way to route jon onto specific host it’s to specify request attributes in qsub : – qsub -l <request_attr_name> – for Java example please see below. Also you may add “soft” or “hard” resource requirements modifier ( for more see SGE glossary – hard/soft resource requirements). Posted by Alexey Bokov on April 1, 2009 at 1:08 pm under compute grid, programming. Posted by Alexey Bokov on October 15, 2008 at 1:48 pm under compute grid.